This property is situated just across the road from the picturesque cove at Port Quin, owned by the National Trust. Your quaint Cornish house is a beautiful two-storey conversion which takes its name from the local areas history. With miles of stunning coastline, rolling moorland and protected heathland this stretch of countrysdie won't fail to enchant! The property is situated just across the road from the picturesque cove at Port Quin, owned by the National Trust, and is a wonderful tranquil location for sunbathing on the beach, swimming in the sea and relaxing on the rocks, as well as walking the coastal footpath to the quaint fishing harbour at Port Isaac. 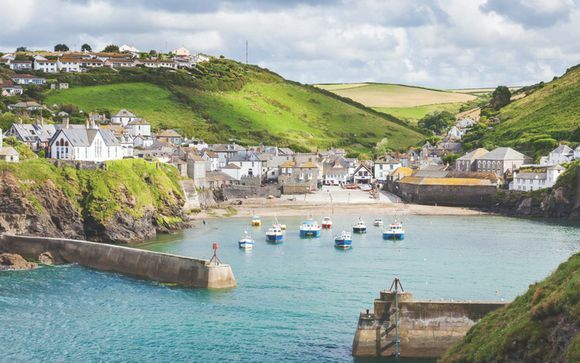 Port Isaac is two miles away by car and has great charm and character with a working harbour, seafood restaurants including Nathan Outlaw’s Fish Kitchen, lively cafes and a daily fish market. This offer is based on a 4 bedroom house. No 2 The Fish Cellars is a stunning unique two storey conversion, refurbished to a very high standard by the present owners and just steps from the shore. The open plan kitchen and living area downstairs, are perfect for cosy living with a beautiful log burning fire which is surrounded by large, comfortable sofas and contemporary furnishings. The spacious bedrooms upstairs are steeped with character and have great views of the pretty courtyard and beyond. 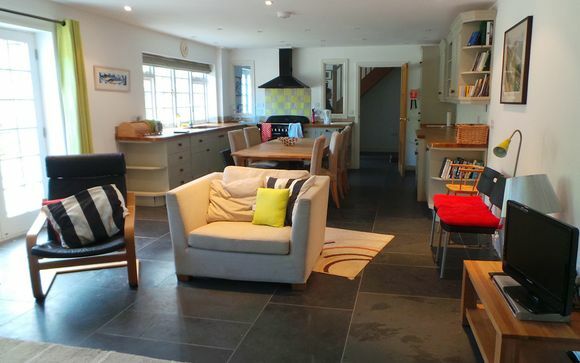 The useful utility room and downstairs shower room are perfect for muddy boots and sandy feet after a long day exploring the beautiful Cornish coast. No 2 The Fish Cellars is approached through a pretty courtyard with cobbled stones and has allocated parking for two cars. The word "cellar" is a local term for a fish processing shed and the Fish Cellars were once used to salt and press huge hauls of pilchards into barrels before they were exported to Southern Europe many years ago. A truly beautiful property. This offer is based on a self-catering stay. A fully equipped kitchen is provided. These residences feature a spacious open plan living area and a contemporary and stylish kitchen, which includes fully integrated appliances.